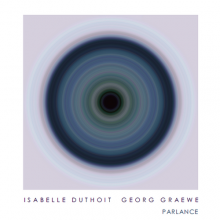 Classically-trained Isabelle Duthoit works with various ensembles and composers, primarily in the world of free improvisation. Using her voice, she has developed a unique singing technique, and to that end has sung in improvised solo settings and in duet with Phil Minton. In 2008, she was a resident at the Villa Kujoyama in Kyoto (Japan) to perform a solo vocal performance in relation to the sound world of Noh and Bunraku theater. From 1995 to 2005, she has been committed to the creation and improvised music by creating Fruits Festival Mhère “fields of improvisation” with Jacques Di Donato. Since 1997, she has taught clarinet and improvisation at the Conservatoire Departmental Evry in Essonne, France.